Offering you a complete choice of products which include Quality Inspection Service. 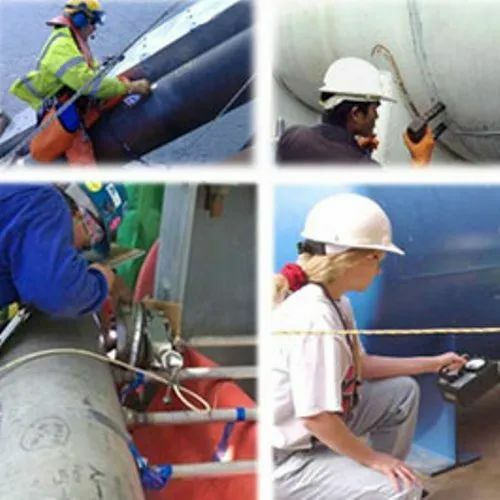 We are service provider of Non Destructive Testing and Welding Inspection Services. Our services includes Ultrasonic Testing, Radiography Testing, Penetrant Testing and other NDT services. Construction safety inspections are the most effective means of identifying hazardous conditions at the worksite. Construction sites require constant monitoring and observations to keep ahead of safety issues. We are a proven safety resource for third party job construction site safety inspections. By: Edifice Erection Pvt. Ltd.